Coker Tire Company has innovated many radial tire products over the years, including the award-winning American Classic Bias Look radial tire. Bringing innovation to the collector tire and wheel market has long been the key focus for Coker, engineering quality tires for collectors since 1958. The ride quality and tread wear of radial tire construction make them an excellent choice for collector vehicles that see significant road miles. 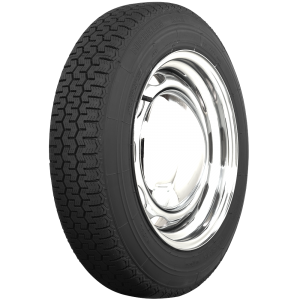 Shop hundreds of styles and brands of classic radial tires including the legendary BF Goodrich Radial T/A. Buy with confidence from the world's leading supplier of tires and wheels for collector vehicles. Not sure where to start? 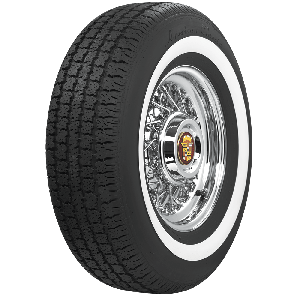 Wide whitewall radial tires are great fitments for the classic big cars, hot rods and all sorts of custom vehicle builds. Coker Tire offers a staggering selection of radial tires with wide whitewall styling. Choose from brands such as American Classic, BF Goodrich Silvertown, Phoenix and Coker Classic. Whether it's a rag top Cadillac cruiser or a fine classic European roadster, Coker offers a wide whitewall radial fitment for your vehicle. 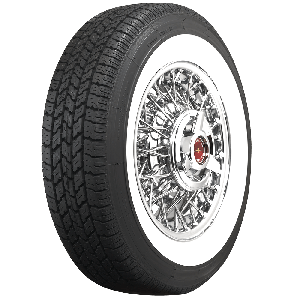 Quality narrow whitewall radial tires are perfect for the comfortable big American cruisers of the sixties, seventies and eighties. 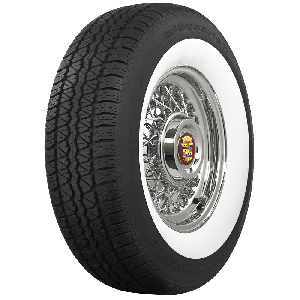 Coker Tire offers premium narrow whitewall radials from Maxxis, American Classic, Phoenix and BF Goodrich in hundreds of sizes. 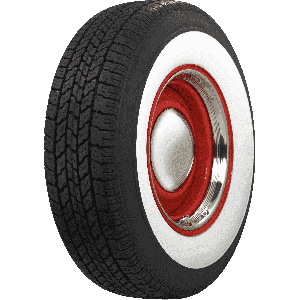 These tires are genuine whitewalls, from the very first step correctly built with the whitewall constructed into the tire. 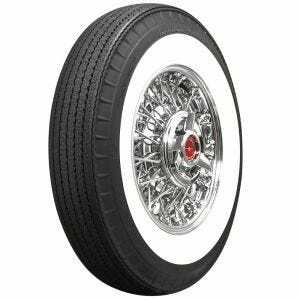 Builders, restorers and collectors all over the world trust Coker Tire Company for high quality whitewall tires. BF Goodrich turned the tire industry on its ear when they unleashed the Radial T/A forty years ago. 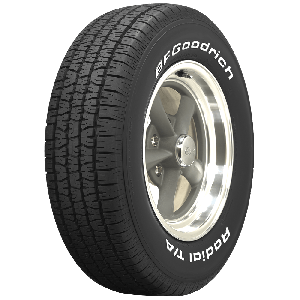 The first performance radial tire in north America, the BF Goodrich Radial T/A had tenacious grip, smooth ride and looked awesome on performance cars and hot rods of the era. The tire features incredible wet and dry traction and provides long even tread wear throughout the life of the tire. Coker Tire Company offers the legendary BF Goodrich Radial T/A in many sizes. These tires are excellent fitments for Corvettes, Camaros, Mustangs and just about every hot rod, muscle car and street car on the road. This versatile tire set the gold standard for a performance street radial tire and carries that banner still today. Shop blackwall radial tires from iconic brands such as Michelin, Vredestein, Excelsior and BF Goodrich. 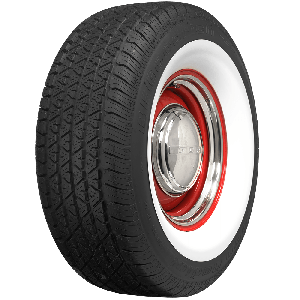 The all-business look of a blackwall radial tires is becoming very popular with race-inspired restorations, hot rods and classic cars with steel wheel-dog dish cap combinations as well as hundreds of OE-fitments. Our blackwall radial tires are available in hundreds of sizes. Whether it's a European classic, hot rod or American classic car or truck, Coker Tire Company offers the correct blackwall radial tire for your application. 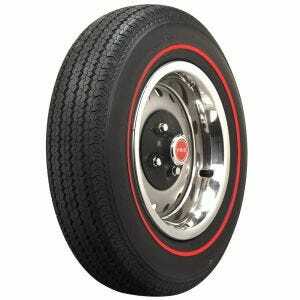 Radial redline tires are excellent fitments for muscle cars and hot rods that see plenty of miles on the road. 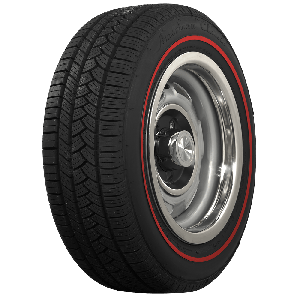 BF Goodrich, American Classic and Coker Classic radial redlines are carefully constructed as true redline tires from the very first step and carry our Life of Tread warranty. The modern radial construction of these premium redline radial tires offer outstanding ride quality, overall traction and treadwear. 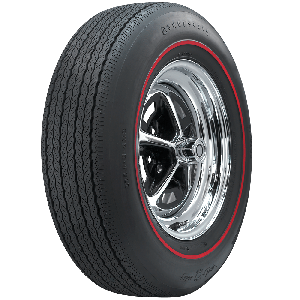 Coker Tire Company offers Radial Dual Redline tires that are great fitments for Ford Mustangs, as well as muscle cars and hot rods that see plenty of road miles and use. BF Goodrich dual redline radials are carefully constructed as true redline tires from the very first step and carry our Life of Tread warranty. The modern radial construction of these premium dual redline radial tires offer excellent comfort, all weather traction and tread life. Goldline radial tires from BF Goodrich and American Classic are perfect for both classic Corvette models and custom vehicles. These tires are correctly constructed as goldline tires from the first step and carry our Life of the Tread warranty. These premium goldline radials are available in several sizes from the world's leading supplier of collector tires and wheels. 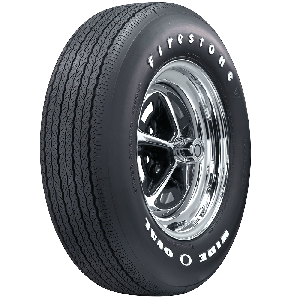 Firestone F560 radial tires are an outstanding fitment for many popular European classics and sports cars. These popular tires are available in sizes from 13 to 15 "es and are correct fitments for many Volkswagen, Austin Healey, MG, Porsche and Renault models. These premium tires offer excellent traction in wet and dry conditions, feature a P speed rating and the correct profile to make your classic look the part. Firestone F560 tires are both American DOT and European Community ECE approved for use. Too many choices? Contact a Tire Expert for assistance in selection the correct tire for your application.